nourishment. Moreover, they could also be found in other parts such as chest,feet and ears. As the human grows older, the colonization of the demodex increases. At age of 70 colonization reach its maximum. Demodex Folliculorum symptoms are similar to common blepharitis for example: ocular tickling and itching, crawling sensation, crusting and redness of the lid margin, and blurry vision. Suspicions of a Demodex infestation should be aroused by the loss of lashes and/or cylindrical dandruff around the base of the eyelashes during a slit lamp evaluation. Demodex mites can be detected by examining the eyelashes with a microscope. There are a large number of risk factors that may be associated with an increased infestation with Demodex Folliculorum. It is not clear, if Demodex infestation is related to gender. 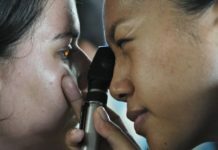 Poor ocular hygiene in combination with increasing age may also be associated with an increase in Demodex count as a result of blocked oil glands which prevent normal sebum secretion resulting in increased infestation.Treatment with topical steroids particularly long term use of these drugs may also result in an increase in the number of Demodex. 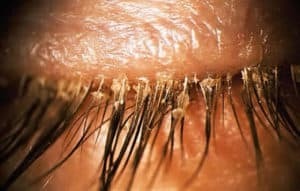 The main symptoms of infestation are tickling and itching, crawling sensation on the face and in the scalp in the evening, burning, foreign body sensation, crusting and redness of the lid margin, blurry vision and failed response to dry eye treatments and blepharitis. Itching during the night and early morning on the lower nose, eyebrows and eyelashes and irritation is common with these mites because of their aversion to light. Demodex mites are active at night and come out onto the surface to mate and to lay their eggs on the lashes. They subsequently crawl back into the follicle in the morning, causing the patient to itch. What makes the diagnosis of Demodex difficult is that some patients will have “a lot of Demodex” without symptoms . All of these conditions are typically bilateral and chronic or relapsing. Demodex Folliculorum blepharitis treatment goals include: eradicating the adult mites and their offspring, prevention of further mating, avoiding re-infestation and alleviating the patient’s symptoms. Understanding the mite’s life cycle and habits helps design a logical treatment plan. Several options are available for the treatment of Demodex Folliculorum. These include treatment with topical and systemic anti-inflammatory and antibacterial medications, mercurial ointment, sulphur ointment, camphorated oil, antibiotics, as well as anti mycotic drugs. As a topical treatment, tea tree oil is the preferred medication in combination with lid hygiene as evidence shows that it reduces the numbers of Demodex, is safe and has minimal side effects. 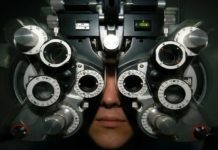 It is also the only treatment that an Optometrist would be able to provide within the remit of their practice. Demodex Folliculorum is susceptible to tea tree oil. Tea tree oil is a natural oil distilled from the leaf of Melaleuca alternifolia. At home, a twice daily lid scrub with 5 % tea tree oil is followed by a massage of the eyelids. This prevents mating and therefore prevents an re-infestation from occurring around the eyes. 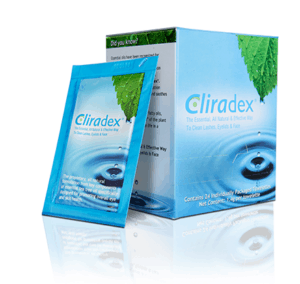 The best tea oil available product in the market is Cliradex Eyelid, Eyelash and Facial Cleansing Towelettes a patented formulation with 4-Terpineol, the key ingredient of tea tree oil. Cliradex is scientifically shown to be safe and effective to control lid margin diseases. The killing mites effectiveness of Cliradex formulation has been published in over a dozen peer-reviewed papers and studies. As an alternative, Blepharitis Wiki suggests the We Love Eyes: Tea Tree Eyelid Foaming Cleanser – Vegan. Use this multi-purpose tea tree eyelid foaming cleanser to soothe your demodex symptoms by washing away dirt, allergens and makeup residue. The tea tree oil in eyelid foaming cleanser attacks bacteria and demodex Folliculorum mites to combat red, itchy, irritated eyelid symptoms. Plus, it’s safe to use with lash extensions. It is scientifically found a strong positive relation between ocular surface comfort and Demodex counts despite age. They concluded that good eyelid hygiene decreases the prevalence of Demodex Folliculorum and helps to improve ocular discomfort in all ages. Eye lid cleaning procedures and a warm compress and vertical eyelid massage works to both melt the thick wax in the meibum and loosen any debris on the eyelid margin and eyelashes. There are several devices which can be used to warm the eye lids. The success of this treatment appears to be multi-factorial and includes thickening and stabilization of the meibomian lipid layer as well as the reducing bacterial colonization, which has been proven to be effective in diminishing the symptoms. The easiest way to warm your eyelids is via Eye Mask like Oasis REST & RELIEF Eye Mask which adjunct Hot Therapy for the relief of Demodex Folliculorum Symptoms. Temperature retaining beads that conform to the body in a soft knit cloth mask for maximum comfort. Put it on a clean plate and then in the microwave for 15 seconds. The mask will be warm for 10 minutes, no water is needed. It is much simpler and easier than common hot compresses. There is no special diet to prevent or stop Demodex. On the other hand, it is well known that anti-inflammatory food improves eye health. Recent researches shown that Omega-3 fatty acids which are included in the salmon, oysters, herring and mackerel increase the tear production and the quality of the tear film. Supplements rich in omega-3 fatty acids which have been shown to improve several ocular disorders, seems to help also against demodex. 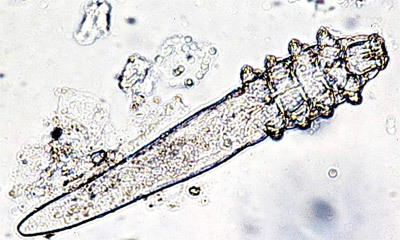 Demodex F. can travel easily from one person to other. Make sure everyone in your household as checked as well. This includes pets as well . Dogs are prone to mites . Mites can be responsible for many ocular or facial disorders and inflammations like blepharitis , MGD and rosacea. Our suggested treatments and especially tea oil scrub eradicate mites in a few months. Improving your everyday hygiene contributes to get rid of the mites even faster. Last but not least, if treatment is combined with anti-inflammatory diet including omega-3 the efficiency rises! lol…did you say “discard your spouse”?? 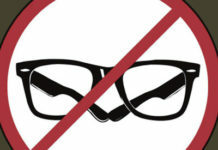 #4 under Health Eye-Lid Guidelines…I’ll have to try that!! Yes…the “discard your spouse” brought a chuckle. I guess if you can’t wash your spouse in very hot water, then discard.